This charming villa, located in Sesmarias on the outskirts of the popular town of Carvoeiro, enjoys an excellent location in a residential area within easy reach of all amenities. There are a couple of restaurants and a supermarket within walking distance and it is also possible to walk to Caneiros beach which is about 3kms away. The kidney-shaped pool with children's section is a delightful feature of the villa and the surrounding terrace provides plenty of space for both sun-worshippers and shade-seekers to relax by the pool. 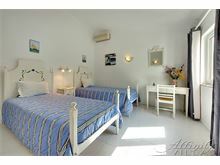 The interior of the villa is light and airy offering a comfortable holiday home for 8 guests. 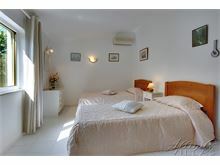 1.5 km from the nearest cafe/restaurant and mini-market and 3 kms from the nearest beach at Caneiros. 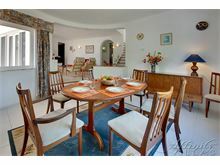 Entrance hall leads into the split level lounge/dining room, TV and open fire place, kitchen is fully equipped including dishwasher and microwave. The washing machine is fitted separately and is available for clients to use. 2 steps leads to a double bedroom with an en suite shower room and French doors onto terrace and 2 twin bedrooms sharing a full bathroom. Guest cloakroom. 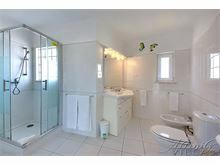 Upstairs to Master double bedroom with shower room en suite and French windows open onto a terrace with distant sea views. Please note the TV and DVD player has been removed from the master bedroom. Maid service 2 times per week. Air conditioning and Wi-Fi available at extra cost, if required. The villa was just as we expected very clean and the pool was lovely. We enjoyed relaxing and the BBQ was great for the evenings. The Affinity staff we spoke to were very knowledgeable and helpful. We had a great family holiday. Casa Camelia is a lovely villa. 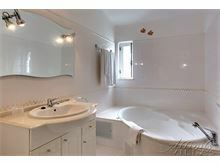 Fabulous pool area with bbq and patio and very spacious living area and bedrooms which are well set out. 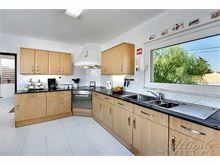 Well equipped kitchen and the villa is well placed on a quiet street but only a short drive from supermarket and eating places. Beautiful area..we will return! Casa Camelia is a great Villa in a great place. Affinity Villas service is exceptional. We will definitely be booking again but maybe next time a little closer to the beaches. 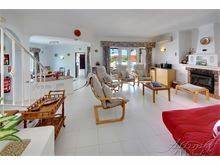 Lovely spacious villa in a quiet area. Very comfortable and private. Villa was great with everything you needed. 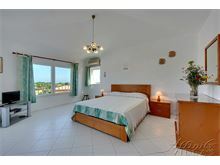 A great villa in a quiet location with all the amenities you need nearby. We had a very relaxing stay at this villa. Very comfortable and well equipped. Outside area lovely for eating al fresco and using the pool. Very quiet area. Master bedroom very comfortable and roof terrace a bonus. the local mini market well stocked for most needs. Cleaner and pool man very friendly. Had a lovely two week stay at Casa Camelia. The villa is well equipped. Some lovely restaurants within walking distance, provided you have the legs for the step climb up to the village. However, taxis are plentiful and cheap. The villa was very very well equipped the kitchen had all you needed and more. We had a great family holiday, and would definitely book this villa again. This is one of the best holidays, if not the best, I've had with my family. Affinity are super thoughtful and practical that the villa felt like home from home. Words simply cannot explain how fantastic the villa was. If you're thinking of booking through them, don't hesitate. I'm certain you'll thank me later. I rate Affinity 20/10!! Keep up the good work, Affinity Villas! A fabulous base for a family holiday. Close to many good beaches, supermarkets and restaurants close at hand. 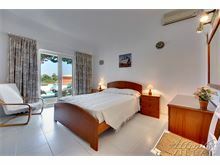 A well appointed villa with all that a family needs for a relaxing holiday together. Will definitely recommend to family and friends. 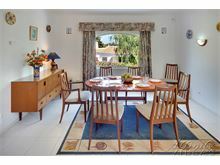 Overall the villa was a quiet, pretty retreat with Carvoeiro close and busier if you wanted it.It has everything that you would need for a comfortable holiday. Would go again. 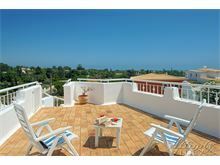 The villa is in a good, quiet location with easy access to beaches, restaurants and a tennis club. It is a comfortable villa and everything was very clean. Very good value for size of villa. 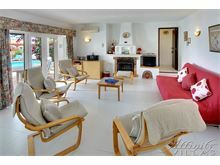 Location peaceful and near to local restaurants and a lovely beach 7 mins drive away. Housekeeping was excellent. We have stayed at Casa Camelia now for the last 4 summers, love the villa, clean,well equipped, and Affinity Villas are so helpful, very enjoyable will be returning again. The villa was fantastic really spacious and clean. Very well equipped the swimming pool was fantastic. Very good location. Well equipped for kids the villa had inflatables for the pool and games for the kids. Overall very impressed with the villa and would stay again. Brilliant!! Well equipped, comfortable and clean. Situated in peaceful surroundings with a restaurant, bar and mini-mart within walking distance a a selection of beautiful beaches just a short drive. Will definitely return. Thank you Affinity!! 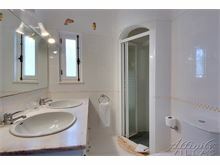 Fantastic villa in a great location. Everything you can think of this villa provides.